This could probably be considered the original calorie food chart. I remember getting my first copy of this chart in the form of a very large book (the size of a large atlas) when I was in Food engineering Graduate School in 1980.
food, but it is not as good at other things such as: Which vegetable should I eat tonight? In other words this kind of chart takes the place of a calorie app. It is a little bulkier than an app, but you can start to compare and see patterns a bit. If you do not use an app this would be a good chart to have along with a couple of the other charts. 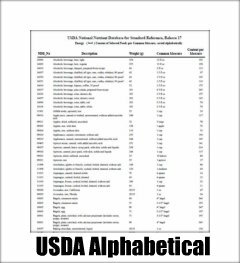 USDA calories in alphabetical order. It should be noted that this chart is alphabetical. 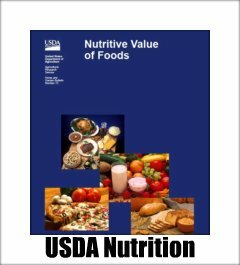 This is a good source of calorie information This 43 page pdf document has some different foods than the basic alphabetical USDA chart. There is really no introduction about diabetes or any discussion about diabetes here... It gets right to the point...Eat fewer calories. 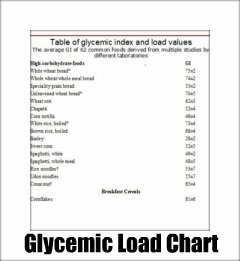 It does have a form at the end of this chart that you can print out to keep up with some of the calories in your favorite foods. 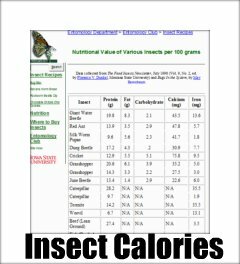 This chart uses data from the USDA, but calculates the calories per pound. According to the Pritkin Principle, if you want to lose weight you should average eating food that is less than 400 calories per pound. He says it does not matter how much you eat. « or click the picture to the left. This was my first page of calorie charts and has some unique calorie charts such as grams of protein per calorie for weight lifters and vegetarians. I also has links to a negative calorie food list and a low calorie food list. 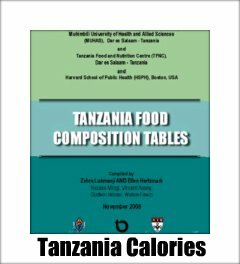 Try out this my first page to talk about the various charts for calories. 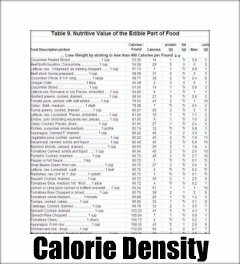 Many people have told me that they thought it was the best page on the internet for calorie information. 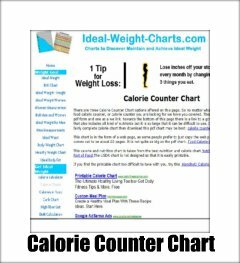 Go to my calorie counter chart webpage. I have heard several people say "Just tell me what foods to eat and which foods to avoid. " I wish it were that easy, but according to Professor Haub of Kansas State University he was just as likely to lose weight by mostly eating junk food. 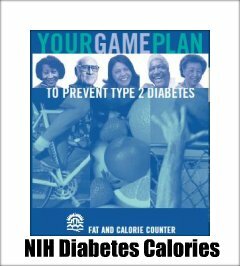 Once again science seems to show that it is mostly about calories in and calories out. So take my suggestions as to what to eat and what not to eat with a grain of salt. 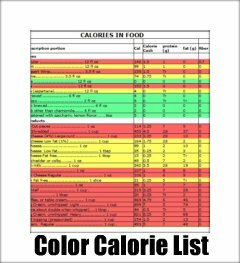 Color Calorie List. 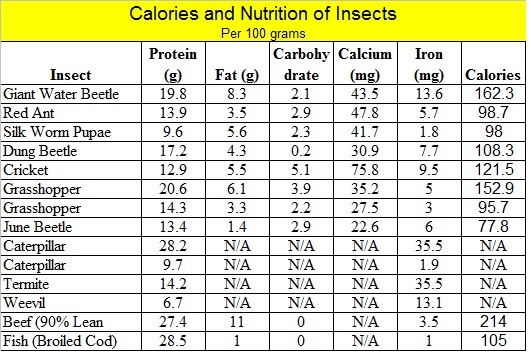 OK, why not have a little fun with this calorie thing; besides if I had to survive in the jungle, It would be a lot easier to catch a grasshopper than a rabbit. Sorry I do not have any recipes to give you.